Harley Quinn was originally created for Batman: The Animated Series. Since then, she has become one of the most popular villains in the DC Universe and boasts a legion of fans and collectors. Top among these are the growing number of Harley Quinn comics, many of which are covered in this detailed guide. Shop for Harley Quinn Comic Books on eBay. We broke down the full swath of collectibles related to the character in our Complete Guide to Collecting Harley Quinn but it is important to take a closer look at the comic books that feature prominently in her legend. This Harley Quinn comic guide is going to document the lines that either bear her name or are of significant importance in the comic collecting community. As a companion to Joker and an adversary to Batman, Harley Quinn has appeared in many comic books beyond the issues listed here and a complete collection of the character’s appearances in DC Comics will be quite challenging. Taking Harley to another level, 2016’s Suicide Squad film is sure to boost the interest of this already-beloved character. While a surge in demand for the most notable Harley Quinn comic books may drive up asking prices, a patient collector who knows exactly what they’re looking for should still be able to find great deals on these wonderful collectible comics. It is important to point out that this list does not include one-shots or short-run comics unless they are of exceptional importance to collectors or to the character and the list does not cover collected volumes. 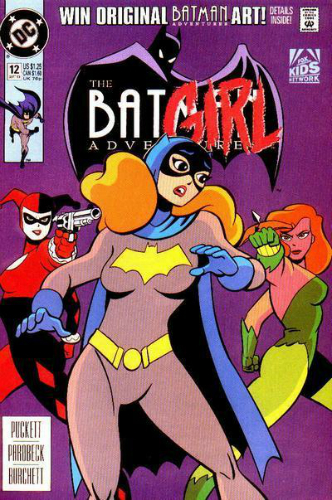 The Batman Adventures, which mimicked the style of the popular Batman cartoons, was the first to incorporate Harley Quinn into print, although it's not considered to be part of DC’s main continuity. Appearing in several issues of the popular comic, Harley Quinn made her debut in issue #12. This notable issue ranks among the most valuable comic books of the 1990s with graded copies routinely selling for $1,500 or more and ungraded books selling for several hundred dollars. Part of the "Batman: No Man’s Land" crossover event, Batman: Harley Quinn is the first appearance of Harley Quinn as a canonical character within the DC Universe. Serving as an origin story for the character, graded first printings frequently sell for several hundred dollars. It is important to be 100% sure you’re purchasing a first printing, though, as many reprints have been released since the 1999 original. 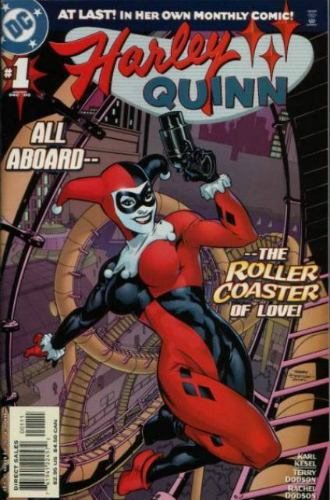 After several appearances in the non-canon The Batman Adventures and a successful introduction into continuity, Harley Quinn was given an eponymous series in 2000. 38 issues were released in what would become Volume 1 of the title between December, 2000 and January, 2004. Because there are so few issues released for the first volume, it is not uncommon to find online auctions for the complete run which may be the best route for collectors as only graded copies of the first and final issue really command top dollar. In 2003, to promote a flash animation web series by the same name, DC released a five-issue mini-series entitled Gotham Girls. 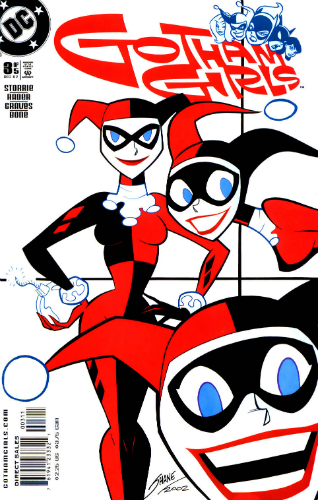 Each issue focused on a different female character from the Batman universe, with issue #3 belonging to Harley Quinn. Featuring a highly stylized cover and a reasonable rarity considering the series was only five issues, this comic book has a selling price point that can range greatly. It is also common to see the entire run sold in a single lot so collectors may want to opt for that option as more of these characters begin appearing in DC’s cinematic and television universes. 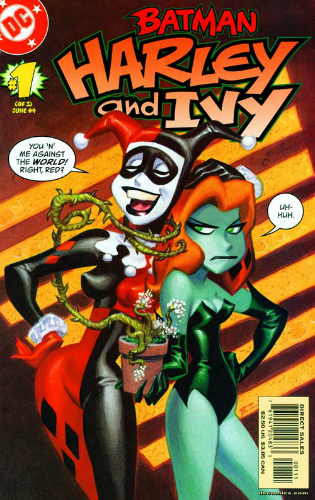 Released as a followup to the Gotham Girls series, Batman: Harley and Ivy follows the adventures of Quinn and Ivy in the same stylized design that made Gotham Girls such a visual pleasure. Only three issues were produced for this mini-series and it is fairly common to find all three sold together. Graded copies of any of the three issues typically sell for several times the published retail price. 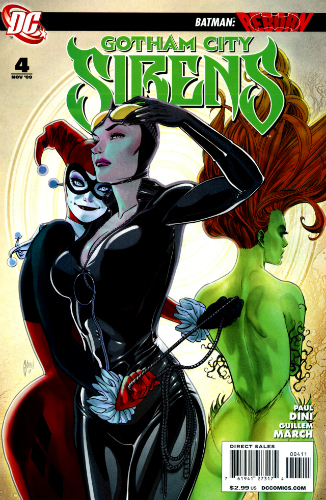 Although not exclusively a Harley Quinn series, Gotham City Sirens does feature the character quite prominently in many of the issues. Released in 2009 and running for 29 issues prior to its cancellation, Gotham City Sirens focuses on the many female heroes and villains that inhabit Gotham. There are variant covers of notable value, particularly issue #1, and like the titles that preceded this comic series, it is not difficult to compile the entire run in a single auction. In 2011, the series was canceled as part of DC’s New 52 relaunch. Each of the characters were rebooted into different comics and Harley Quinn was made a key figure in Suicide Squad. 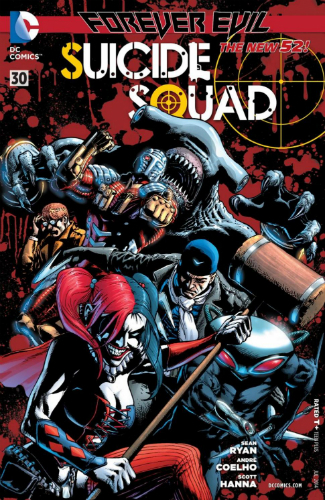 As part of the initial wave of New 52 comic titles, DC launched Volume 4 of their on-again-off-again Justice League antithesis, Suicide Squad. 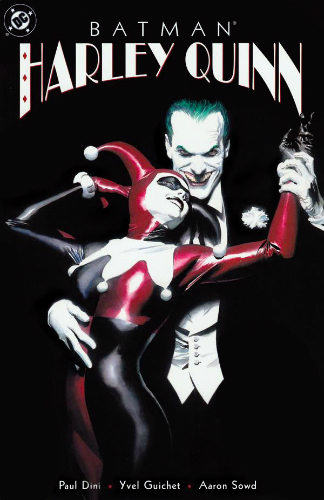 Harley Quinn was a focal point of this series, appearing prominently on the debut cover, and was a member of this group for the first time. In 2014, the series was relaunched as The New Suicide Squad, again featuring Harley Quinn, and numbering was sequenced beginning at one. Suicide Squad #1 is the standout issue in terms of value with graded copies selling for several hundred dollars. The Harley Quinn title was again revived as a part of DC’s New 52 continuity in 2014. The most notable issue for collectors is #1 which includes a variant cover by Adam Hughes (pictured) that has become very popular. Given that there are estimated to be 9,000 of these variants available, this striking image is quite rare and is definitely worth tracking down. 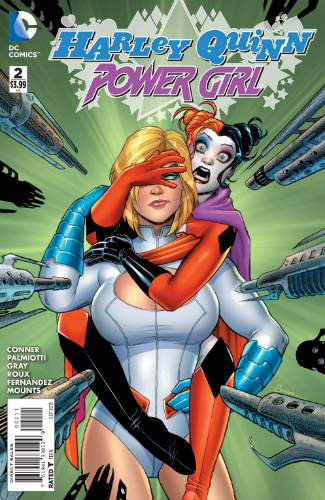 Harley Quinn and Power Girl pairs the female duo in a limited, six-issue run. Because it is a recent release with just a handful of issues, it is easy to track down. From a story point of view, this is an interesting series because it takes place in the time between two panels from Harley Quinn #12. The appeal to collectors, other than the ease of compiling a complete series, is the various alternative covers associated with this title, including a Boston Comic Con variant. Like Volume 1 of Harley Quinn, it is not uncommon to find auctions for this complete set at a very reasonable price but variant covers will cost you a few extra bucks. Harley Quinn 26 (2003). JOKER COVER!! EXTREME HIGH GRADE! !